Will refinancing the mortgage create enough payback to go through the process? Is there a way to evaluate the benefits of the mortgage refinance and the cost of doing it? Steven Covey said, “Start with the end in mind.” In other words, why do you want to refinance your mortgage? 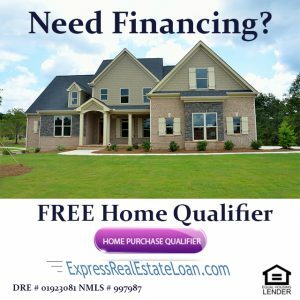 I will give the 4 general reasons why to refinance a real estate loan, but I believe your situation is unique and should be discussed with a professional mortgage broker or banker. This is not a Lettermen count down to the top reason, just the first of four reasons, number one: lower the interest. The interest rate on your mortgage is linked to your monthly payment. If you lower the rate you receive many benefits like a lower payment. A lower interest rate also may allow you to build equity in your home more quickly. The mortgage interest rate could be lower because of changes in the market conditions or because your credit score has improved. In other word you could receive a lower interest rate real estate loan because of macroeconomic reasons as well as personal reasons. Number two: mortgage debt pay down is a reason many people refinance their loan. Refinancing can lower the number of years to pay the mortgage greatly reducing the total amount paid to the lender. Number three: Lowering the monthly mortgage payment is a popular goal of refinancing the real estate loan. Refinancing can lower the interest rate causing the payment to be less. Sometimes the loan can be made for a longer term, prompting a lower payment. After reading that last point, some people would say they are naive to lengthening the terms to get a short term benefit like a lower payment. But individual situations could make this the best possible decision for them. Having options is one of the powers of knowledge. Number four: Getting cash out of the refinance is a common goal. A consolidation loan for other real estate debt can have a considerable advantage to the borrower. Consumer debt like credit cards have very high interest rates and payments and it might make sense to combine them into a mortgage refinance. If the property has equity, then a refinance to take money out to remodel could enhance the quality of life and may increase property value. Other reasons for a cash out mortgage refinance are vacations, buy a new car, education expense, start a business and other investment opportunities. Naturally the list goes on forever because it is the individual life needs or wants that creates the desire for a cash out mortgage refinance. The benefit analysis of a mortgage refinance is simply the cost of the refinance versus the benefits received. Numbers and more numbers are the cure of understanding if it is worth refinancing or not. The numbers of the cost of refinancing the loan should be provided with the loan documents. You will get a good faith estimate along with an APR. This is where a quality mortgage broker or banker is worth their weight in gold. Have them explain the cost until you understand it. They look at these type of numbers every day and get numb to the effect that an eighth of a point means to someone who does this only once every five years or so. The first way is easy; you just pay the closing costs. It is simple to understand, you just write a check that covers the cost of a new loan. Many times you will get the lowest interest rate possible. But there is a balancing act between using present day dollars to save future depreciate dollars. And there is always the opportunity cost of money. Work with your mortgage broker to examine your options and strike the right balance for your situation. Using the real numbers of your mortgage refinance is the best way, but here are some sample numbers. Let’s assumes a mortgage of $200,000 with a 30-year fixed-rate mortgage at 6% and you can get a new loan for 5%. Naturally this is math and financing so you can get a whole lot more complicated. One complication is how the lower interest paid impacts the taxes you pay. If you are on the bubble of the tax rate paid, the reduction in the tax rate could be of consequence. Check with your tax accountant if the mortgage deduction is a major part of your tax management plan. Another issue when comparing the new loan and the current loan is the equity build-up in both loans. If you have had your current mortgage for a while, more of your payment goes to principal, helping to reduce the debt amount and building your equity. A related issue is if your new loan has a longer term than the remaining term on your existing mortgage. If you have to make more payments you are paying more in interest. Many of today’s lenders can make a loan with the same amount of years as your current mortgage. Talk to your loan broker about a custom term of loan that fits your needs. Whenever you are thinking about refinancing your mortgage, find out if your current mortgage has a prepayment penalty. Some lenders charge a fee if you pay off your existing mortgage early. Your mortgage broker or banker should be able to check your current loan to see if this clause is in the loan document. Also, your current lender should also tell you this, but sometimes the loans are sold and the new note holder may have to do some checking to get that information for you. The simple formula to evaluate if mortgage refinance is right for you is Goals – Cost = Benefits. The personal and most difficult part of the equation is monetizing the benefit. What dollar amount can you put on the benefit is the key in understanding is if mortgage refinance is right for you. Refinancing your mortgage can be measured in the dollars you save per month and the life of the loan. Gauging the less stress of a lower monthly payment may be worth more than the dollar amount in the long run. Only refinance if the benefits outweigh the cost of the loan. Fashion the new mortgage with terms and monthly payment that make the most sense for you. Remember, getting a new mortgage is to make your life better! Enjoy the benefits.